Zebra, Tiger, and White Seductress Silkworms. What's the difference? There are three main variations of the Bombyx Mori Silkworm breed; Zebra Silkworms, Tiger Silkworms, and White Seductress Silkworms. Although scientists are currently experimenting with Silkworms, in order to take advantage of their highly sought after Silk, the ordinary person can only get access to these three breeds. 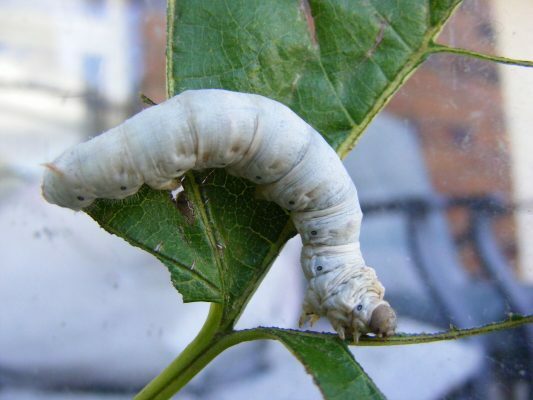 The White Seductress Silkworm is the most common variation. They have been selectively bred for thousands of years, and now produce the best quality Silk. They have a breath-taking velvety-white appearance and are commonly found on site at Silk farms and inside many children’s shoeboxes all around the world. White Seductress Silkworms are also a common delicacy in many Asian countries around the world, where they are a highly sought after delicacy. 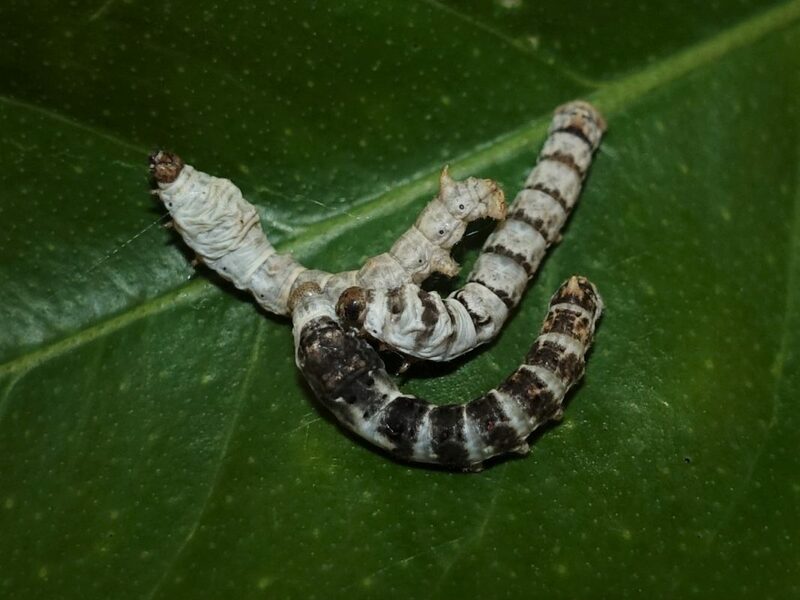 The Zebra Silkworm is another common Silkworm, found domesticated all around the world, and although they are not as common as the White Seductress variation, you can quite easily get your hands on some. The Zebra traits Zebra Silkworm’s possess is thought to have originated in the shoeboxes of South African school students! 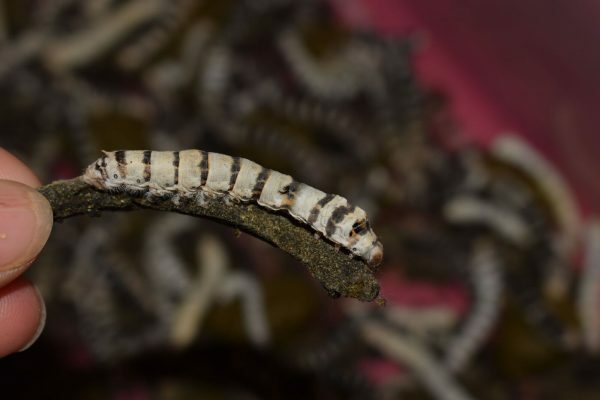 Due to the warm and harsh climate these Silkworms were exposed to, they are now a very tough, hardy breed, and are found to be better suited at living in tough conditions, therefore making them the better choice to raise in hotter, and cooler months. The Tiger Silkworm is the rarest variation of the three, and are native to South Africa! The Tiger Silkworm is similar to the Zebra Silkworm, however they appear black, with white stripes. Unbelievably we were able to find a person selling some at a market in Victoria – when we though they only lived in South Africa – although we don’t have the contact details for the seller, they said that they have been passed down generation to generation in their family, and we were lucky enough to get our hands on some! We hope to have them available for sale early next year! This entry was posted in Blog and tagged Breeds of Silkworms, Everything Silkworms, Plain Silkworms, Silkworms, Tiger Silkworms, White Seductress Silkworms, Zebra Silkworms.